Math is not a subject I am able to teach. I would go so far as to say that I struggle through most of the concepts myself. 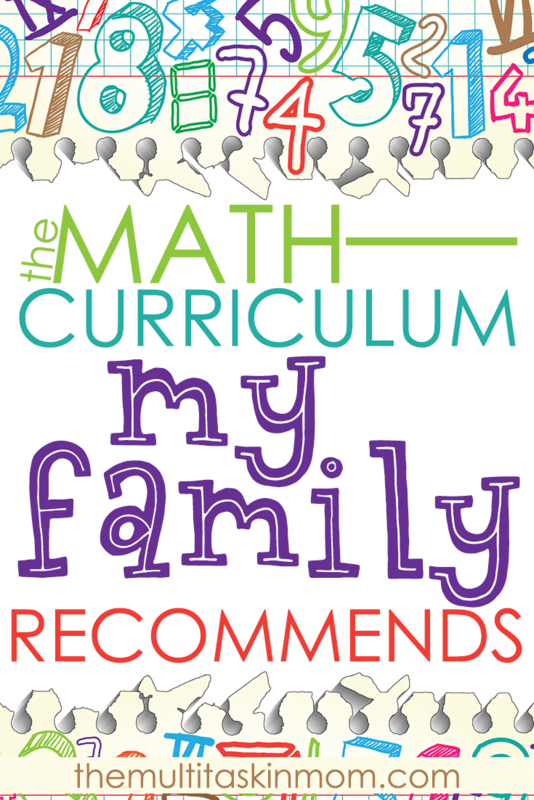 I am so thankful for a math curriculum that I can recommend to you! Sitting down with my oldest to teach a concept often leads to tears, hers and mine. That is something I am so thankful we have changed this school year. Over the years we have went back and forth from one program to another. This year we went back to an old friend, an updated friend! Let me tell you about what we chose. 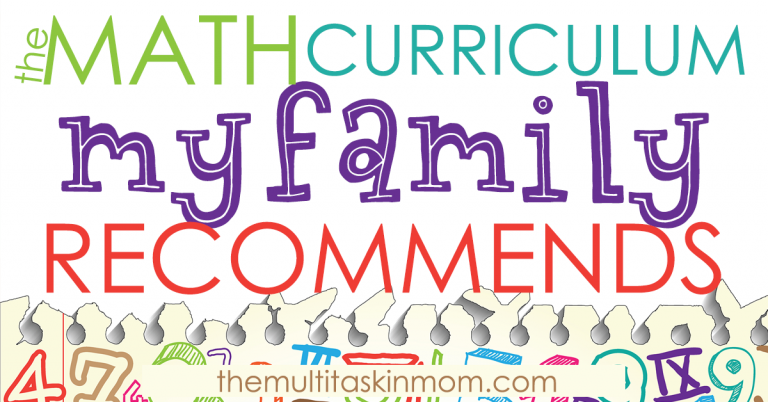 When we started homeschooling I had grand visions of sitting around the table working through math problems together. We would work through the concepts and my children would master them and we would carry on. Oh, friend. I was so naive. Thankfully I have learned that it is okay to move on from what isn’t working and find something that is! This school year we are moving to Teaching Textbooks 3.0 for the 2018-19 school year. I am so pleased to tell you that it is going amazingly well. In fact, both of my children have averages over 95% in their grade levels! I need something that does the teaching for me. You read that right! This program does the teaching. Don’t misunderstand. There are times that I must sit in and help my child with the new concepts they are learning, just with any subject. But this curriculum makes it so much more simple! Each of my children have access to their own grade level course. They log in, choose the lesson that is assigned to them for the day, complete the lesson, and move on to the next thing. Does this sound like something you need? Let me tell you more! Teaching Textbooks 3.0 is very similar to TT 2 with one big change! You can now use it on any device, anywhere you have internet connection! It can be used on laptops, desktops, tablets, and even some smart phones. 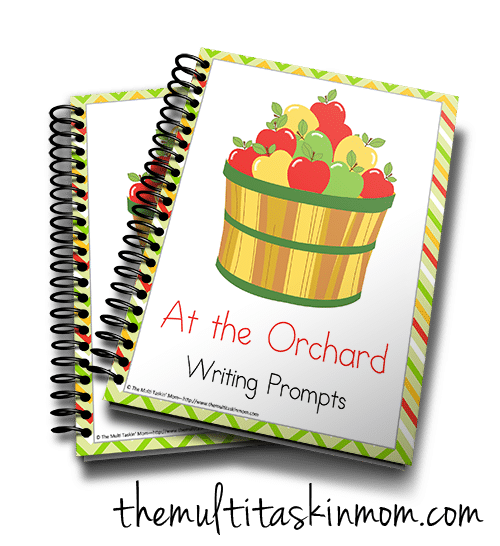 If your family is on-the-go constantly, like most homeschool families, this is a great development for you. 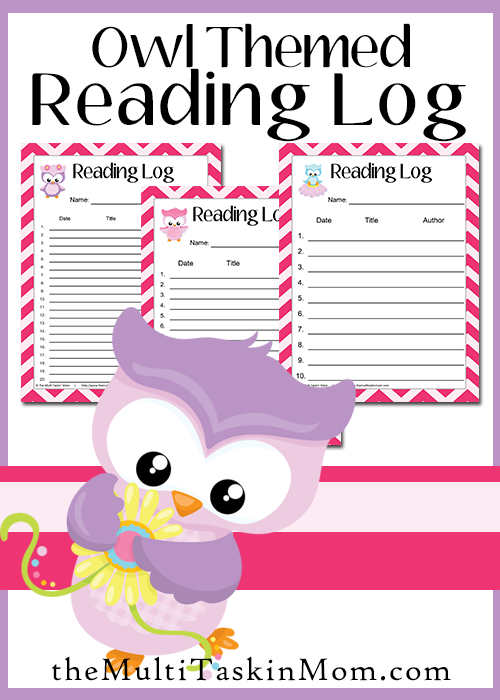 One component I love is that I can reset an entire lesson and have my child start it over. If I see that there are only a couple of problems my child is having issues with I can remove those from the lesson and have them start it again as well. This is especially helpful for my son who insists that he have each problem correct before moving to the next lesson! Grades are stored online in the parent area for ease of viewing and editing if need be. Don’t worry, your children do not have access to this at all. No more discs! If you are anything like me you are singing a hallelujah chorus right now! My son was always losing his disks. I love this new development! 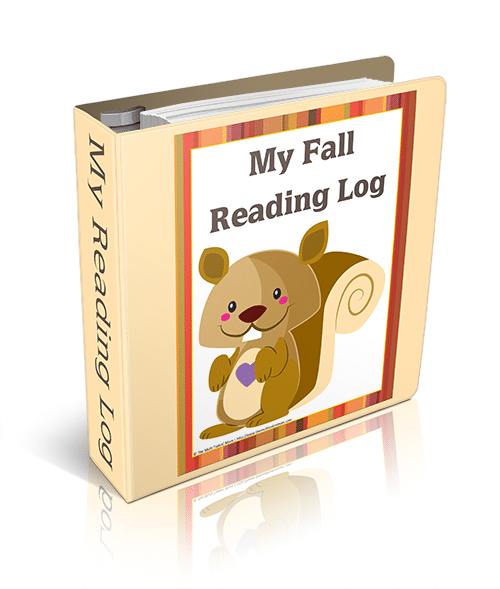 The eBook available for your use, instead of the big coil bound book. Again, this keep all components right at your child’s fingertips. Should you still like the physical book you can purchase it to use as the 2.0 book does work with the 3.0 lessons. 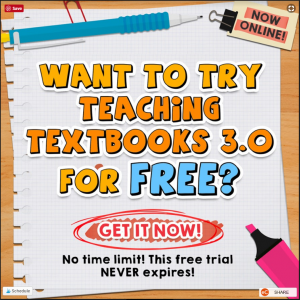 What if I told you there was a no strings attached way for you to try out Teaching Textbooks 3.0 for your self? No credit card needed! Just download and go. Does this sound like something you are interested in? Guess what, you can do it now. Try it now for free! If you have questions you want answered before your trail, you can also check out their FAQ section to get them answered. But, you are likely confused on where your child should be placed in the program. No worries, Teaching Textbooks has you covered! Just have your children complete the placement test to find out where they should start. 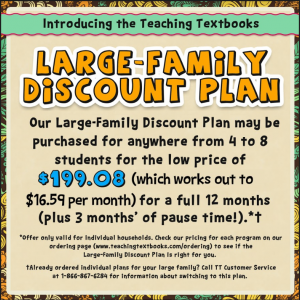 If you have a large family of 4-8 students and are concerned with the cost of the program, Teaching Textbooks has thought of that as well, and offers a great large family discount. The giveaway has ended! Keep an eye out for giveaways in the future!